I want to wish you all happy holidays and tell you how pleased I was with your company. You totally exceeded my expectations with your outstanding customer service to detailing my car both inside and out. It looks brand new again! I was so pleased, I spoke to farmers Agent and told him as well!! I would highly recommend your company to anyone requiring your service and will recommend you to all my friends and family! 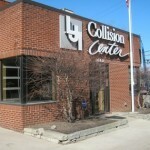 Lauren, Jill and all at LJI Collision, You are all so wonderful. Thank you for everything! I just want to thank you for the recent service you provided me on my automobile. It was a pleasure to have you provide such courteous and efficient service. Additionally I enjoyed talking with you and learning of your family’s three generations of service. I deem LJI to be real asset in our community. One of you called me 2 weeks ago to follow up on the repairs. Sorry I haven’t gotten back to you sooner. However you and I are aware that in the business world, ‘no news is good news’. I am loving the car……..everything appears to be perfect. Thank you for taking such good care of my and the Mazda. It is greatly appreciated. Your kindness and generosity are greatly appreciated. As I was traveling yesterday, Monday 30 September, I stopped in to ask if you could help me with a close to flat tire. Not only was it quickly and cheerfully taken care of, but your service was offered as a gift. Your spending work kept me on schedule and I am very grateful. Everyone there is in my prayers. Thank you! At the beginning of the year I was involved in an accident during snow storm. Unfortunately, a driver ran a red light and hit me right behind the driver door of my 2006 Ford F-150. Nobody was hurt but it did some major damage and electrical damage to my truck. It took the truck into LJI Collision Center (LJI) to have you repair the damages. From the very first call, the communication and negotiation between LJI and my insurance carrier was outstanding. The necessary work and communications were done in a professional and timely matter so that I could have my truck back in pre-accident condition. Your daughters, Jill Strauss and Lauren Angie, were very kind and helpful in assisting me during the time required to fix the damages of my truck. I am highly satisfied with the work and attitude that LJI demonstrated to their customers and I would highly recommend LJI Collision Center to anyone that needs collision restoration work on their vehicle. And by awesome, I mean awesome! What an amazing experience at your shop yesterday!! Talked about your kindness and the wonderful work you did all day. I was floored by your service levels. I will continue to tell people how AWESOME LJI is for weeks and months to come! Enjoy a treat on me!